Thank you, readers, for a lively dialog that has developed at the bottom of this page over the last few weeks, touching on some subjects that I have written about and many that I haven’t written about. I will take this space to respond to some of what you’ve written about. Some of my favorite topics include exercise, epigenetics, NSAIDs, and the gut microbiome. Reports of whole-body rejuvenation with the four “Yakanaka factors” is especially promising. I’m grateful to Dr Paul Rivas for many of the ideas that I’ve expanded on here. Background: COX2 inhibitors were found to reduce pain and inflammation of arthritis, but most COX2 inhibitors also inhibit COX1. It is the COX1 inhibition that led to stomach damage and ulcer risk. So in the 1990s, the pharma industry set out to find drugs that would inhibit COX2 without inhibiting COX1. Only later, it came to light that these drugs elevated risk of heart disease, though they lowered the risk of cancer. (Merck knew of the dangers of Vioxx before anyone else, but kept the stats under their hat as long as they could.) The worst offender, Vioxx=rofecoxib was taken off the market. Only after CV statistics made the problem clear, researchers were led to ask, Why? The problem is endemic. Turns out that COX2 plays a role in maintenance of arterial health, and generally the NSAIDs increase heart risk to the extent that they inhibit COX2. It turned out that Vioxx was dangerous because it did too well exactly what it was designed to do. This story hangs together until we consider aspirin. Aspirin inhibits both COX1 and COX2, and yet the preponderance of studies appear to show aspirin is associated with reduced CV risk [ref, ref]. This suggests there is a piece of the metabolic puzzle that is still missing. Aspirin has many mechanisms of action, some of them unique to aspirin. My advice, longstanding, has been to take ¼ to 1 whole aspirin or ibuprofen a day (not both; not to be mixed in the same week) after about age 50 for lowered inflammation and protection from heart disease and cancer. Evidence for protective effect of aspirin has weakened a bit in recent years, but is still holding up . For patients who have already had a heart attack, aspirin remains standard protocol, and evidence for this population is strongest. Readers pointed to this study , which reports elevated risk of heart attack for people taking ibuprofen or naproxen. The dosages they are looking at are several times higher than the daily dosage used for prevention alone. Effects on cardiovascular risk are more complicated. I have been unable to find direct comparisons of aspirin vs ibuprofen and others, but there is “circumstantial” evidence in the literature that aspirin slightly decreases CV risk, while all the others slightly increase risk. Different studies rank the NSAIDs differently. There is suspicion of the “coxib” drugs which many people find work well for arthritis, but the latest studies show this seems to be unfounded. This study  finds Celecoxib (Celebrex) is safer than either ibuprofen or naproxen (Alleve), and results in both lower CV risk and lower all-cause mortality. There may be other reasons to prefer one or another NSAID. There are benefits for joint pain and stiffness; there are risks for gastric pain and ulcers. It’s an individual choice, and I encourage you to experiment on yourself. You can alternate different NSAIDs, but it’s best to do so week-by-week or month-by-month, rather than daily. Don’t take aspirin and other NSAIDs in the same week. Does too much exercise cause areterial calcification? Readers pointed to this study  from Mayo Clinic, in which young adults were followed for 25 years, and those who exercised most hours per week had elevated calcification of their arteries. Calcification, in turn, is correlated with higher risk of heart disease. There are several reasons I’m not turning on a dime to change my advice about exercise (which has always been, “the more, the better”). It’s a new finding. The study is still in preprint form, and cites no precedent. It’s based on just 268 subjects. The people in the high-exercise/high-calcification group did the equivalent of 7 or more hours of jogging each week. But the study didn’t separate recreational from occupational exercise. Social class is a really big factor, and it may be that all we’re seeing is that working class people have more CV symptoms than the upper middle class. The fact that exercise is correlated with calcification and calcification is correlated with increased heart risk does not necessarily imply that exercise is correlated with heart risk. This is such a common mistake. (A correlated with B) and (B correlated with C) does not let you conclude that A is correlated with C. In fact, the paper explicitly cites precedent that people who exercise most have lowest CV risk [ref, ref]. So many benefits of exercise for so many aspects of health have been documented over the years that exercise is one of the solidest pillars of any health and longevity program. The Copenhagen City Heart Study gave me more pause. They found that joggers who ran at a moderate pace 2-3 hours per week had longest lifespans. The benefit was about 6 years of life (a big number compared to every other life extension strategy that’s been studied, with the exception of caloric restriction). But runners who worked longer and harder than this lost the benefit and, in fact, died early. There is support for this thesis in other articles as well [ref, ref]. But there are also studies claiming that there is only a law of diminishing returns, and no amount or intensity of exercise that is actually bad for longevity [ref, ref]. Exercise has a strong benefit for life expectancy, health, mood and productivity. For low intensity exercise (yoga, walking, hiking, low-speed cycling, low-speed swimming) there is no evidence that too much can hurt you. If there is a threshold above which exercise can increase cardiovascular risk and shorten life expectancy, it is only for intense exercise and long duration, typical of a marathon runner. My guess (based on disagreement among experts) is that there are individuals for whom a great deal of high intensity exercise is beneficial, and there are others who damage their cardiovascular systems by pushing too far. Doctors may be able to tell you if you have a heart condition that makes exercise hazardous. My hope (based on personal experience with yoga) is that we might develop a sensitivity to our bodies, so that we can distinguish the pain of damage from the pain and resistance that always accompanies a strenuous workout. I’m grateful to Dr Paul Rivas whose comment in this blog led me to read a little about it. Inositol hexaphosphate (IP6) is a bio-available form of Inositol, which is in the B-vitamin family. It has a major benefit for certain kinds of anxiety and depression, and minor benefits for blood sugar, insulin sensitivity, and cancer prevention. A reader referred us to this story in a comment last week. It would be unethical to intentionally expose people, unknowing, to ionizing radiation. But in Taiwan 35 years ago, construction steel was accidentally contaminated with Cobalt 60. The Health Safety Society recommends that 50 millisieverts (mSv) is the maximum safe radiation dosage. But 1700 people in apartments buildings in Taibei were exposed to this much radiation year after year for a period of 9-20 years until the contamination was discovered and they were evacuated. These people were studied for adverse possible health effects, but the result was that they had dramatically lower rates of cancer and birth defects. Hormesis is a word for Improved health and longevity in response to challenges such as low doses of toxins, radiation, heat, cold exercise and fasting. Dr Green has outlined a theory that cancer [his comment] is a state of unconstrained cell growth characteristic of free-living cells half a billion years ago, before there was multicellular life. First part of theory is cancer is normal growth from prior to 500,000 million years ago, prior to Cambian period. That was before plants and before oxygen rich atmosphere; life was fermentation, unlimited telomerase, no aging, cells were immortal. This was new to me. Cyanobacteria have been around for 2.5 billion years, with the capacity to turn CO2 into O2. But apparently it was not until 800-600 million years ago that the oxygen in the atmosphere approached present levels. Of more practical interest is Dr Green’s idea that it is epigenetics and not genetics that makes a cancer cell. If this is true, then an entire anti-cancer industry based on the idea of mutations being the root cause of cancer is misguided. I missed this article when it came out almost a year ago. The “Yamanaka factors” (abbreviated OSKM) are four chemicals which, when applied together, can turn an ordinary differentiated cell (a skin cell, for example) back into the stem cell from which it came. Pluripotent stem cells replenish all the cell needs in the body. The offspring of a stem cell can be any kind of cell, hence “pluripotent”. Up until ten years ago, it was thought that this was a one-way street, and that the process of differentiation was irreversible. Then the Kyoto laboratory of Shinya Yamanaka reported success in “de-differentiating” cells by adding just four chemicals, initials O, S, K and M. In other words, these four chemicals turn a regular skin or muscle or organ cell back into the stem cell from whence it came. Summary of the Yamanaka-factor reprogramming experiment. De-differentiation rejuvenates the cell, including lengthening of telomeres. But can the rejuvenation be done without the de-differentiation? That’s the subject of a Cell paper by Ocampo et al. They report success in rejuvenating cells in a living mouse, without changing them back into stem cells. They do this via intermittent doses of the same four Yamanaka factors. The shorter duration (2-4 days) has the effect of epigenetically reprogramming cells to their younger state, without destroying their differentiated identity. For several years, I have have been attracted to the idea that aging is essentially an evolved epigenetic program. The holy grail would be to take cells that are programmed to be old and epigenetically reprogram them to be young. The hitch in this plan is that to do this directly requires changing methylation at millions of separate sites, in addition to re-programming dozens of other kinds of epigenetic markers (besides methylation), some of which are just being discovered. These sites are specific to cell type, introducing further complexity. We have neither the knowledge of where all these sites are, and only rudimenteray ability to alter them with CRISPR and allied techniques. The finding last year by Ocampo et al offers the possibility that we don’t have to do any of this, that just four chemicals will instruct the body to do it all for us. Watch closely—this may be the pathway to whole-body rejuvenation that so many researchers have been groping toward. What about damage to the cells? 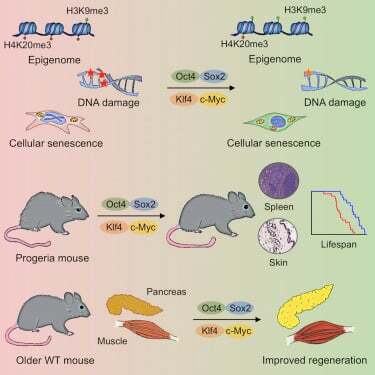 The good news is that epigenetically rejuvenated cells seem to be able to repair their damage better than we might do it with artificial interventions. Somatic DNA mutations were repaired. Mitochondria were returned to a younger appearance and performance. Lifespan increase has been demonstrated in genetically short-lived mice. For normal lab mice, they report physiological markers of rejuvenation, but didn’t wait to see if the mice would live longer. How do you get OSKM into the mice (or the humans)? In this experiment, extra copies of the four factors were inserted into the mouse genome before birth in such a way that they were normally turned off, except in the presence of the antibiotic doxycycline. This provided a convenient way to turn OSKM on and off at will, with injections of doxycycline. In the genetically short-lived mice, the rejuvenation is temporary, only lasting 8 days before progeria asserts itself again. We don’t yet know whether rejuvenation in normal mice will be short- or long-acting. Thanks again to Dr Rivas for this article demonstrating that ashwagandha is a potent telomerase activator. This article adds to the evidence that cells with the shortest telomeres are the problem, and average telomere length is less important. Once again it is Dr Rivas pointing us to this article. Stool samples from 1,000 “extremely healthy” people of all ages were analyzed for RNA sequences associated with intestinal bacteria. Their principal finding was that the composition of the bacteria depended more on health than on age. There were major differences through childhood, and for people in their 20s, the bacterial colony was in a class by itself. But after age 30, up through age 100, bacterial ecology of all the healthy individuals tended to look alike. A recent consensus says that we lose gut diversity with age, possibly as an adaptation, but more likely with negative consequences for health. These are variants of vitamin E. They differ from vitamin E (tocopherol) in the same way that unsaturated fats differ from saturated fats. They are more reactive, more easily manipulated by the body. The normal varieyty of vitamin E (alpha tocopherol) does not have lifespan benefits, and may be a net negative. Gamma tocopherol may be better, or it may be that we need a mixture of tocopherols in combination. The only human studies have been done with alpha tocopherol, and when you buy “vitamin E pills” that’s what you’re getting. Early research suggests that tocotrienols protect against cancer and reduce inflammation. The body treats them differently from vitamin E, and they have separate activity. Tocotrienols occur naturally in foods including palm oil, wheat germ, and rice bran. You can buy supplements of mixed tocotrienols, or gamma tocotrienol, or mixed tocotrienols with tocopherols. Unsurprisingly, telomere length at birth is inherited from parents, and is assumed to be correlated to lifespan. Surpringly, a baby’s telomere length is inherited more from the father than from the mother. More surprisingly, older fathers sire children with longer telomeres (though their own telomeres are, presumably, shorter). Naltrexone is a 35-year-old drug used to block opioid receptors and help people breaking addictions. Soon afterward, Dr Bernard Birhari discovered naltrexone in low doses as a treatment for auto-immune disorders (allergies, lupus) and as an anti-inflammatory. There has been some success with LDN as a cancer treatment. Take LDN at bedtime, as it blocks pleasure receptors. The theory is that blocking receptors during sleep increases the release of endorphins during the day. There is anecdotal evidence for LDN as treatment for depression, PTSD, anxiety and sexual dysfunction. LDN hasn’t been approved or tested for any of these uses, but informal experimentation off-label is gathering a critical mass. Advocacy site for LDN. Thanks to all of you reading this column, and thanks especially for the intelligent and informative conversation that has grown up underneath this blog. I hope you’ll please keep the ideas coming! “Increased air pollution cuts victims’ lifespan by a decade, costing billions” blared the headline from Eurekalart last summer. 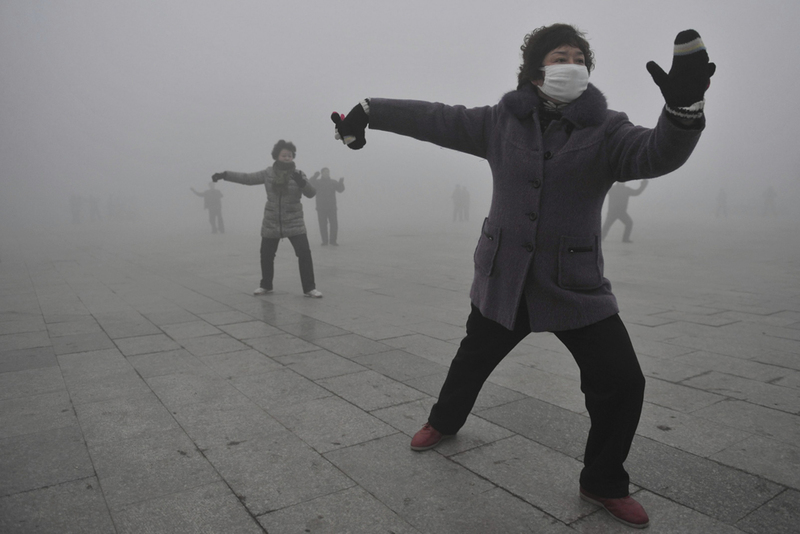 I spent five months of the last 15 in Beijing, with arguably the worst air quality in the world. I call Philadelphia my home, with the 10th worst air pollution in the US. In the past, before good statistics were available, I have been an advocate, board member and even expert witness in support of clean air legislation. Now I dreaded discovering what air pollution might be doing to my long-term health. I procrastinated, and left this project on a back burner for a year. But when I finally chained myself to my desk to research this column, the results were not nearly so bad as my fears. For context, the study was based on the concentration of the smallest particulate pollution, particles less than 2.5μm in size, which are thought to do the most damage. A concentration of 10μg/m3 for such particles is a level typical of a large American city on an average day. Philadelphia has many days each year exceeding this level. Beijing air on a summer day has 150μg/m3, and winter days are typically 400-600μg. If my reading of the Danish study is correct, it implies that the average citizen of Beijing loses 500 years of life to air pollution. 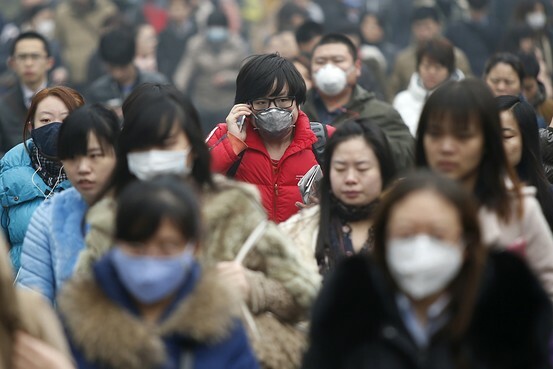 How much life is being lost to air pollution in American cities and Chinese cities? Is the risk linear with pollution, or is there a threshold? Are sources of pollution predominantly local or regional? Where are the best and worst places to live? What diseases are associated with air pollution? What can be done to mitigate health consequences of exposure to air pollution? Is it better to exercise in polluted air or not exercise at all? I came away realizing that some of these questions are difficult to address with field studies and epidemiology, and others have not been addressed, even though they are not so difficult. But generally, I was re-assured that air pollution is not as big a health threat as headlines had led me to fear. How big is the effect overall? This study looked at day-to-day variations in death rates in Wuhan, a large, polluted city in China’s heartland. They find that 10% of all deaths are due to respiratory disease, and some large fraction of respiratory deaths are triggered by the day’s SO2 level. (Sulfur dioxide is a significant pollutant in China, but not America, because so much coal is burned in and near cities.) This speaks of the immediate effect only, and corresponds to less than one year of life lost. But this kind of study can tell us nothing about long-term effect. Another study in Eastern China (Jiangsu province) compares across cities, so is potentially sensitive to long-term as well as immediate effects. They find a smaller effect of ozone (O3), corresponding to a few months of lost life. 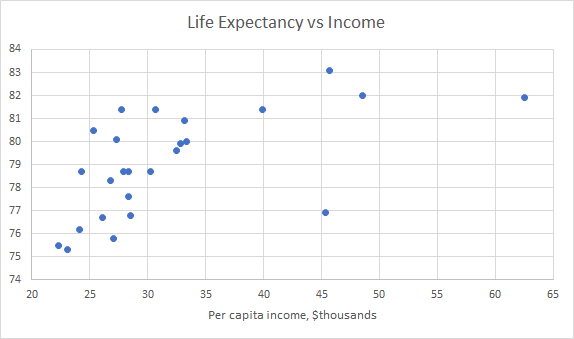 One of my first discoveries in researching an early ScienceBlog column five years ago was that large differences in mortality correspond to small differences in life expectancy. The deep cause of this counter-intuitive effect is the steep rise in mortality curves, building a wall of death into actuarial tables. This is what Benjamin Gompertz realized two centuries ago, but I was a little late to the party. These mortality statistics are large enough to detect unambiguously, and a few percent increased mortality (up to 10% in China’s most polluted cities) sounds quite serious. But when these numbers are translated into life expectancy changes, the results are far less alarming. 10% in the worst Chinese cities corresponds to less than 1 year of life expectancy. 1% – 2% typical of American cities corresponds to about a month of life expectancy. Much more difficult to quantify is the extent to which the health effects of air pollution are focused on a subset of people who are particularly sensitive, and who will suffer a seriously early death. This is the question addressed by the headline-grabber I quoted at the top of this column [ref]. The most recent comparison of South and North China (where coal was burned freely for winter heat) is featured in Eurekalert with the sensational headline, Air Pollution Cuts 3 Years in Northern China, but the research article behind it reports 8 months. Can we see an effect of pollution on life expectancy in America’s largest cities? I looked up the data, and found a surprisingly large variation in life expectancy. 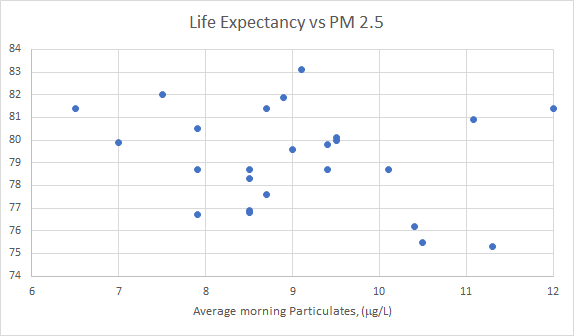 Here is a scatterplot of life expectancy plotted against EPA’s measurement of average morning pollution levels for the smallest particles (PM2.5). Here there is a statistically significant correlation (p=0.01) and a trend that is visible to the eye. Across 25 cities, 29% of the variance in life expectancy can be explained by wealth alone. When mice breathe air with particulate pollution, their arterial walls thicken and stiffen, arterial plaques increase, and inflammation rises over a period of months [ref]. Similar effects in humans would be expected to increase risk of heart disease and ischemic stroke. Much of this damage is thought to be reversible after ths source of the pollution is removed [ref]. Joel Schwartz of Harvard School of Public Health has persisted through a long career in creating some of the most solid and credible connections between pollution and its health consequences. This classic study, more than two decades old, uses conservative statistical methods to separate effects of weather from pollution. (Weather is known to be highly correlated with daily mortality, more so than pollution, and pollution, of course, is correlated with daily weather and also with season.) The result is a robust conclusion that TSP of 100 μg/m3 increases risk of death by a factor 1.06. The weakness of this finding is that, since the time of this study, TSP=“total suspended particulates” has gone out of fashion as a measure of pollution. TSP measures large particles more heavily than small, but we now know that the smallest particles are most damaging. Air quality in America has improved in the last 20 years, and most days, most places are compliant with EPA limits. Nevertheless, a difference in mortality rates can be detected between the good days and the bad. A recent study from Schwartz’s group investigated the question of low-level pollutants. They are able to detect effects from three pollutants: PM2.5, O3 and NO2, and report a total ~1% increase in daily mortality. This is a large unanswered question, very difficult to pose in an epidemiological study design. It is plausible that high exposure for a short time is more damaging than low exposure for a longer time, but the opposite is possible. It is plausible that the combination of chemical irritants (e.g., O3, SO2, NO2 with micron-size particles is worse than either of the two separately, but we don’t know. A “latency” is often assumed, such that today’s exposure to bad air can produce hidden damage that shows up a decade later to cause disease or death. But it is just as plausible that those who are fortunate to escape disease in the immediate aftermath of pollution exposure suffer no long-term consequences. We do know that hospital admissions and both cardiovascular and pulmonary mortality rise in times of major pollution events. But smaller day-to-day fluctuations in air pollution also produce smaller fluctuations in a city’s mortality and morbidity rates, and these can be correlated in long-term studies. Is there a threshold, below which low levels of pollutants cause no problem? Probably not. This study by Schwartz found that 1% or 2% of all deaths in Boston are arguably attributed to particulate and ozone pollution, and Boston air is cleaner than most large American cities, and was within EPA guidelines virtually all during the time of the study (2000-2009). A study across different cities in Eastern China also could find no evidence of a “safe threshold”. Do filter masks do any good? These cheap, simple respirator masks are a common sight in Beijing. They are so thin that it is easy to imagine that they can’t be doing much of anything, but apparently this simple measure is quite effective. This study from University of São Paulo was based on metabolic response to pollution, and found the response was reduced to undetectable levels by wearing a mask. 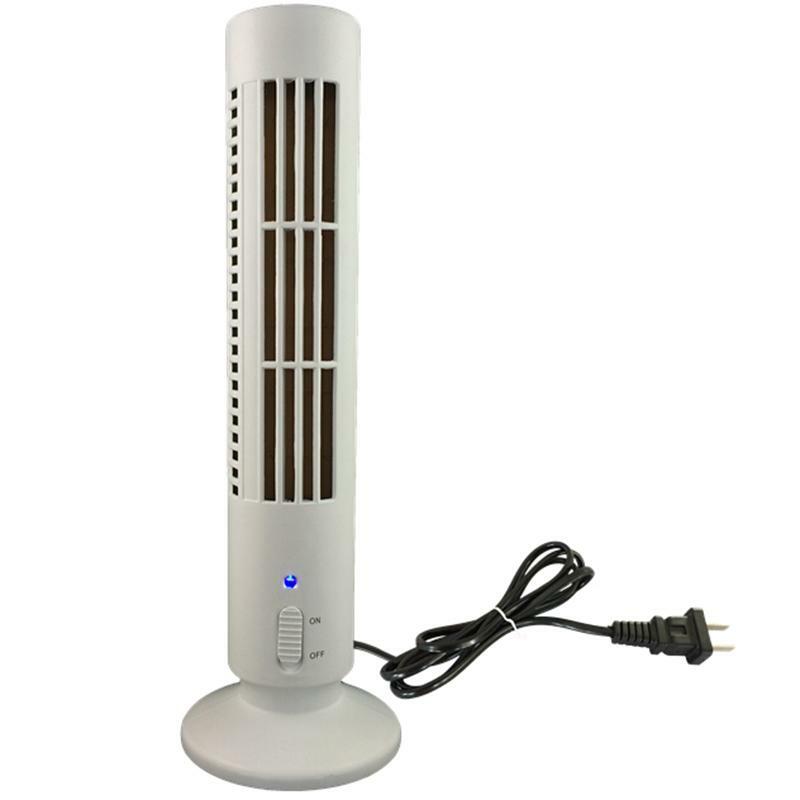 Also common in China are indoor air purifiers that continually circulate air through a HEPA filter. The Berkeley Wellness Letter offers some suggestions and emphasizes limitations. A room air purifier provides less effective protection than a mask. Can B Vitamins Shield you from Harm? This study looked at short-term effects of particulate pollution only. These include elevated heart rate, suppressed immune function, certain epigenetic changes (DNA methylation), and a decrease in heart rate variability. (The latter is a somewhat mysterious but apparently robust measure of health that has begun to gain recognition as an indicator in recent years [ref].) By all these measures, a modest course of B vitamin supplementation for several weeks preceding exposure completely prevented the physiological response. On the one hand, it’s a very impressive result; on the other hand, what we care most about is long-term damage to the lungs and CV system, and the short-term protection may or may not correspond to long-term protection. This study finds that the benefits of walking and cycling outweigh the damage done by breathing more polluted air. The claim is that this is overwhelmingly true in moderately polluted Western cities, and remains true in all but the most polluted cities of the developing world. The methodology of the study looks good to me, although the data on which it is based are uncertain. The study doesn’t address high-intensity exercise, which necessarily involves rapid hyperventilation. It is hard to know if lung damage might be caused at an extra-high rate when the body’s cleansing mechanisms are overwhelmed, as they are in cigarette smoking. People in China tend to exercise less on high-pollution days, but when they live in high-pollution cities, they make the most of it and exercise indoors, or outdoors when the pollution is as good as it’s going to get [ref]. Mitigating air pollution is an important environmental project, with health benefits that far outweigh the costs. It is indeed a travesty that our EPA is bowing to pressure from GM and Exxon, decade after decade. Mitigation is well worth pursuing in the US, let alone in developing Asian cities. Nevertheless, even in the worst areas of China and India, the air pollution is a major health problem only for a sensitive segment of the population, and overall robs city-dwellers of less than a year off life expectancy. I fasted for five days last month, coordinated to end on the Jewish fast day of Yom Kippur. The last two days I took large doses of quercetin, thinking to purge senescent cells. Fasting is supposed to protect normal cells, while sensitizing senescent cells to toxins. Quercetin is a supplement commonly found in health food stores, a flavonoid extracted found in onions and green tea. It has been identified as a senolytic. Results: Difficult to say with any certainty, but I did feel an ease and speed in swimming after I began re-feeding, and perhaps an easing of chronic stiffness in my low back. I have a yoga practice that goes back to 1972 and, I believe, has helped me to retain range of motion. The place I feel loss of suppleness most is my lower spine, and MRIs showed a loss of discs beginning 20 years ago. I take daily aspirin, 325 mg at bedtime, and I think I associate this with an easing of flexibility in the low back. Recently, I’ve noticed that if I substitute naproxen (200 mg) for the aspirin, my low back feels less stiff in the morning. Naproxen is a stronger over-the-counter NSAID than aspirin, more likely to produce side effects in sensitive stomachs; some studies claim to detect long-term heart risks. The best reason to prefer aspirin over naproxen is the long history attesting to the safety of aspirin (for most people). I intend to try more controlled experiments over the next few weeks to see if my first impressions of naproxen’s benefit hold up. This theory of cancer is more than 100 years old, but it didn’t become the dominant view until the 1950s, when, after Watson and Crick, genes assumed an exalted position in the study of biology. The “somatic mutation theory” continues to dictate the course of cancer research and treatment today. It is uncontested that cancer cells have abnormal chromosomes. Dozens of different mutations have been found in malignant cells. They have been catalogued as different oncogenes, and because they are so different in their functions, cancer has been re-conceived from a single disease to a category containing many different diseases with similar symptoms. Are mutated genes the root cause of cancer? Toxins that commonly break DNA (teratogens) are also found to cause cancer (carcinogens). Radiation, ditto. “Ionizing” radiation packs enough wallop in each photon to break a chemical bond, and is associated with cancer, while non-ionizing radiation (visible, infrared, and radio waves) is not mutagenic and generally not carcinogenic*. This has been taken as powerful circumstantial evidence for the prevailing theory. A direct answer to the question of whether cancer originates in the nuclear DNA is available from an experiment that is simple in principle: Swap nuclei between two cells, one normal and one malignant. Take the mutated DNA out of a cancer cell and put it in a normal cell, to see if it becomes malignant. Take the un-mutated DNA out of a normal cell and put it in a cancer cell to see if the cell is rescued and restored to health. This experiment has been technically feasible for more than 30 years, and indeed Barbara Israel and Warren Schaeffer actually performed both experiments at UVM and wrote them up in 1987 [ref, ref]. The results were exactly the opposite of what was expected: The cell with normal cytoplasm and cancerous nucleus was normal; the cell with normal nucleus and cancerous cytoplasm was cancerous. This result has been confirmed in other labs [reviewed by Seyfried, 2015]. Still, the genetic paradigm has a stubborn grip on cancer research and treatment to this day. Warburg was among the first to notice  that most cancer cells use fermentation rather than respiration as an energy source. Metabolic studies pointed to damaged mitochondria in tumor cells that had become inefficient in producing sufficient energy through respiration. He theorized that impaired mitochondrial function is the root cause of cancer. In fact, Warburg did some of the early work establishing the role of mitochondria as cellular energy factories. So most cancer cells are sugar addicts. They consume enormous amounts of sugar, both because they are actively growing and dividing, and also because they use sugar so much less efficiently than normal cells. 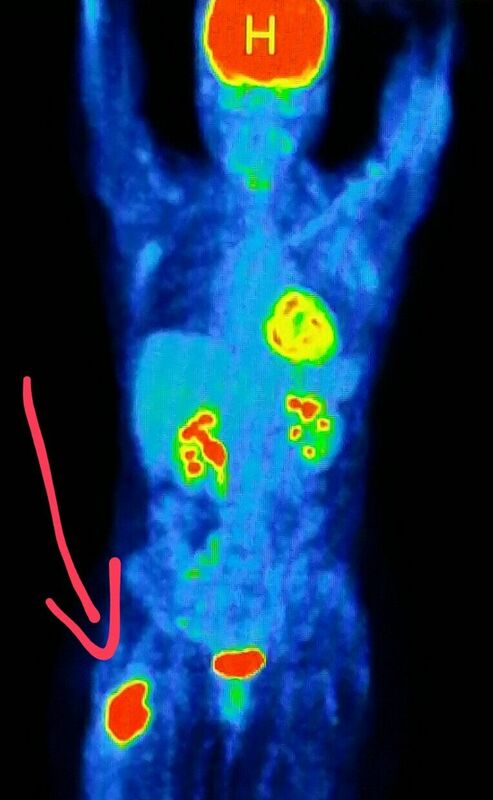 A PET scan can be used to visualize concentrations of sugar in the body, and PET technology is often used to locate tumors. Sugar is easily made from carbohydrate foods, and when you eat a diet containing carbs, sugar is the fuel of choice. Ketones are an alternative fuel used by the body when burning fat, either stored fat or ingested animal fat or vegetable oils. (Medium chain saturated fatty acids like coconut oil seem to be most effective in inducing metabolic ketosis.) Unlike sugar, ketone bodies cannot be fermented. They generate ATP energy only through oxidative respiration in the mitochondria. Are zero-carb diets an effective treatment for cancer? Some well-known cancer drugs (Gleevec, Herceptin) already target the fermentation metabolism. Acarbose has been proposed but not yet tried. But might it be safer and more effective to starve cancer cells by cutting carbohydrates in the diet to zero? There is a robust literature suggesting, “yes” [e.g., ref, ref, ref, ref, ref, ref, ref] but so far the results have been less than earth-shaking. A search of ClinicalTrials.gov yields 25 trials of ketogenic diet variants for cancer treatment. Most are in early stages, 5 have been completed, 2 have results. In this study, the ketogenic diet, with or without chemotherapy, did not cure glioma. This small study found modest benefits in a variety of advanced cancers. These results are consistent with many mouse studies, in which some benefit was recorded from the ketogenic diet, but not a dramatic difference. The most encouraging results I have found was a study in which 9 of 11 mice treated with a combination of radiation and a ketogenic diet were cured of brain cancer. Clearly, this is no miracle cure, but it’s too early to give up–we’re just figuring out how to make the diet work, and it has not yet been tried except at late stages, after all else has failed. Fasting shows more promise than ketogenic diets. (Perhaps fasting lowers blood sugar even more than ketogenic diets.) A series of studies by Valter Longo make the case that fasting simultaneously sensitizes cancer cells to chemo or radiation and de-sensitizes normal cells. Seyfried has proposed a “press-pulse” system based on this vulnerability, targeting the glucose metabolism and the glutamine metabolism with hyperbaric oxygen. Besides glucose, glutamine is also a major fuel for tumor cells. Drugs will be required to target glutamine, as glutamine is the most abundant amino acid in the body and can be easily synthesized from glutamate. Hyperbaric oxygen requires a patient to be enclosed in a pressurized oxygen chamber or room filled with pure oxygen at 2.5 x atmospheric pressure. There is one highly encouraging case report for the success of this triple combination—hyperbaric oxygen, glucose inhibitors, and low-dose chemo—in which a late-stage, resistant breast cancer is driven to total remission. 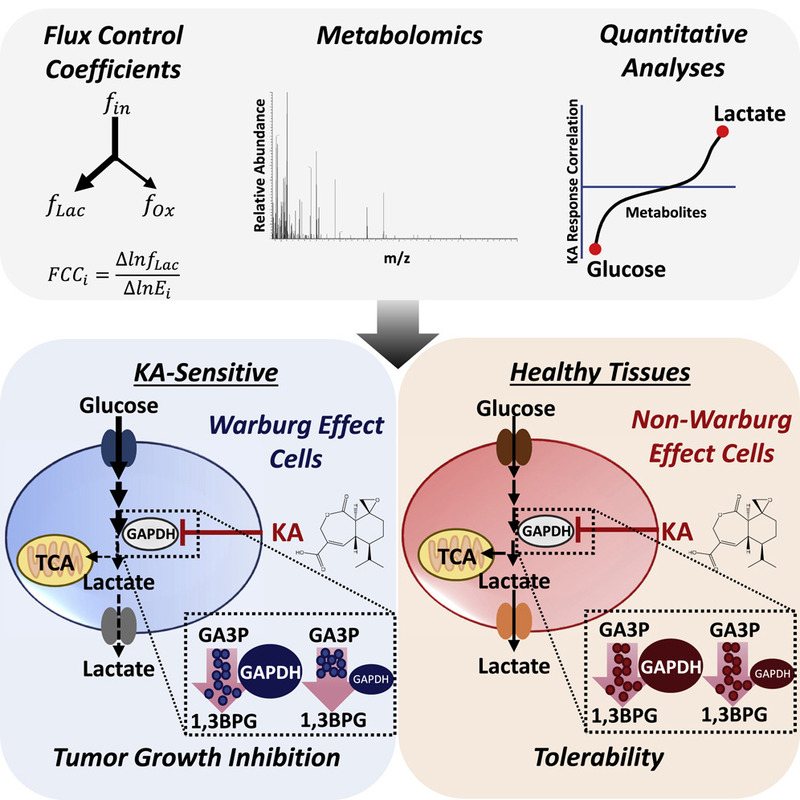 Last week, a research paper from Duke U suggested a target for attacking the fermentation metabolism of cancer cells, and a marker for identifying which cancers are likely to be sensitive to it. The research group of Jason Locasale found a protein called GAPDH which switches to the fermentation metabolism, and a compounded called koninjic acid, extracted from fungi, that inhibits GAPDH. They have tested koninjic acid extensively in cell lines, and have begun testing in live mice. Whether such drugs are more effective than simply restricting glucose is a topic for investigation. Supplements that promote mitochondrial health include CoQ10, PQQ, mitoQ/SkQ, alpha lipoic acid (ALA), carnitine, and melatonin. Can they lower risk of cancer? So far, we have just a few hints; this is a promising area for research. CoQ10 was studied in the 1990s as a cancer treatment, with some encouraging results [ref]. PQQ has been shown to kill cancer in vitro [ref]. One mouse experiment looked at ALA as part of a cancer treatment [ref]. Use of carnitine remains theoretical [ref]. Most has been written about melatonin [ref, ref, ref], but even here, there is no epidemiological evidence. All the evidence for radiation and other mutagens causing cancer might be re-interpreted in terms of mutations to mitochondrial DNA. (Mitochondria live in the cytoplasm, outside the cell nucleus, but they have a bit of their own DNA and ribosomes for transcribing it.) Damaged mitochondria can also cause cancer even when their DNA is intact, and Seyfried (after Warburg) makes a strong case that mitochondrial damage is the root cause of cancer. Inflammation is probably the single worst source of mitochondrial damage. Do we need one more reason to minimize inflammation? Viruses often target mitochondria for their own ends, and this may explain cases in which viral infections are associated with etiology of cancer. The insight that mitochondrial damage is the root cause of cancer (preceding nuclear mutations) also has broad implications for cancer prevention. As for treatment, there have been a few disappointments and also some promising pilot studies, especially in combining glucose deprivation with radiation or chemo to finish the job (“press-pulse”). This is a research field that deserves much more attention. *There are exceptions to both these generalizations. There is controversy whether ionizing radiation at low dosages causes cancer [ref]; and cell phones (non-ionizing) have been linked convincingly to cancer risk, presumably by a different mechanism than breaking chromosomes [my column last year]. I sent a draft of this column to Thomas Seyfried, who was kind enough to edit it in detail and add references of which I was unware. Tripping over the Truth, by Travis Christofferson.